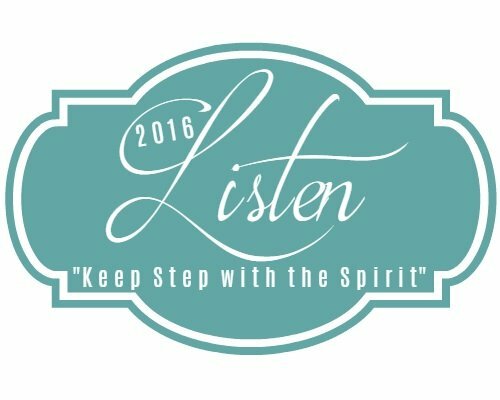 We’re back with the Listen Close, Listen Well Series. We took a break last month because of the Grounded Series, but now we’re back with a powerful story about listening from the lovely, Lisa Appelo. My eyes fluttered open at the sound of my cell phone ringing. Reaching for it on the bedside table, I saw it was my oldest daughter. Having launched several children from home, I’ve learned to take their calls when they call – whether I’m in the grocery line or tackling my to-do list or just nodding off to sleep. So when her call came in, I answered. “Hey! What’s up?” I asked, trying to hide my sleepiness. But this wasn’t a call to chat or catch up. She’d seen something and was torn about how to respond, whether to respond. She began to explain that she had been driving home from work and as she exited the interstate, she saw a woman next to the off-ramp holding up a cardboard sign. The woman looked to be in her mid-30s with a small frame and dyed blonde highlights. Her sign indicated she had no job and needed money. Should she help or not? Handing off money wasn’t always the wisest and was temporary at best. Driving the woman somewhere was too risky. And if she stopped, what was she getting herself into? But she couldn’t ignore the nudge to help. Coming off the exit, she made a U-turn and pulled over. That’s when she called me but even as she talked, she formed a plan. As we hung up, I had mixed sentiments. I was grateful for her compassionate heart, the way she saw need, but I also wanted her protected from the kind of messy hard that might be involved. And, really, can problems that land someone on the roadside holding a cardboard sign untangle over one bought meal? I moved on with my morning, starting breakfast and chores and schooling with my younger kids. About an hour later, my cell rang again. This time she was bubbling over with an update. After inviting the woman to Huddle House, they began to talk. The woman said she’d been holding her sign for 4 hours and had received $4.00. Seems she was from the area but found herself jobless and homeless. When they walked into Huddle House, the woman spotted her former boss. She flagged him down and as they began to catch up, the three now sat down for breakfast. My daughter listened as the woman poured out her story – a series of poor decisions, an accident that left her without a car and a breakup that left her without a home. More conversation showed that the boss was a stable business owner who seemed truly involved with his employees. He updated the woman on the business, on various co-workers. And then he began offering the woman some real help — he could hire her back; he would find her a ride to work. He admonished and counseled her. As they rose to go, he paid the entire breakfast bill and turning to my daughter, chidingly cautioned her to be careful with strangers. The need can look overwhelming. My help can seem inadequate. The nudge can feel risky. The situation can look messy. And what will we be getting ourselves into? 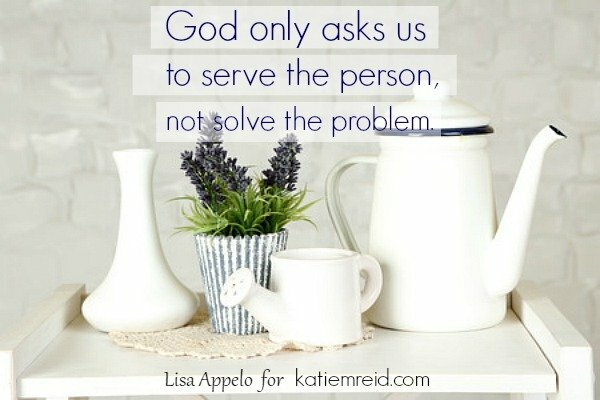 But God doesn’t ask us to solve the problem; he only asks us to serve the person. Our job is simple — to cooperate with God. To see need and as we’re able, to meet need. On this day, God had asked for a U-turn and an invitation to Huddle House. His Providential provision was already in place. 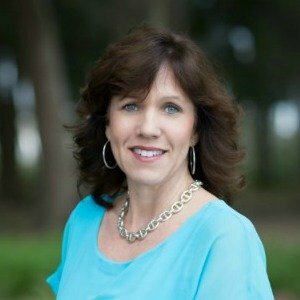 Lisa Appelo is a single mom to 7, young widow, author & crazy in love with Christ. She shares soul-deep encouragement for the adventure of faith at LisaAppelo.com. Find her family devotional Countdown to Christmas: Unwrap the Christmas Story with Your Family in 15 Days here or connect with her on Instagram. It is a joy to bring you FREE content! We hope this series is a blessing to you. If you’re looking for some great holiday gifts, consider shopping our affiliate links on the right sidebar. We proudly partner with DaySpring, Krafty Kash, and Fashion & Compassion. If you order through these links, I will receive a small commission, at no additional cost to you. Thank you! How have I missed this series?! Great topic. Thanks, Katie! Lisa, I love this story and your daughter’s heart. Sometimes the nudge is not to respond, and sometimes it is to step up. Praising the Lord He is always with us and allows us to be part of His work like this. Such an amazing story : ) Thanks for sharing! True, Bethany…as a mom, too, I worry about my kids taking these *risks. * But God already had His plan at work! What a beautiful story. This is so encouraging.Sometimes needs seem overwhelming, but really all we have to do is play one part in God’s plan. So glad your daughter responded like this! I’m always learning, Betsy and this was a timely lesson. Yes, I need to know this when following God to meet need looks to complicated! Thanks Lauren! And vibrant spirit has always exuded from your presence! No one could deny breakfast with you. My eyes are full of tears of joy how God is so able and orchestrating circumstances for our GOOD and others! Lord help me have ears to hear and a heart to act on what you ask me to do today! Oh how we underestimate our God – “His providential provision was already in place” – we tend to make Him small and the problem big, but with Him it’s the opposite. Yes, yes,yes. This is much, Paris Renae.